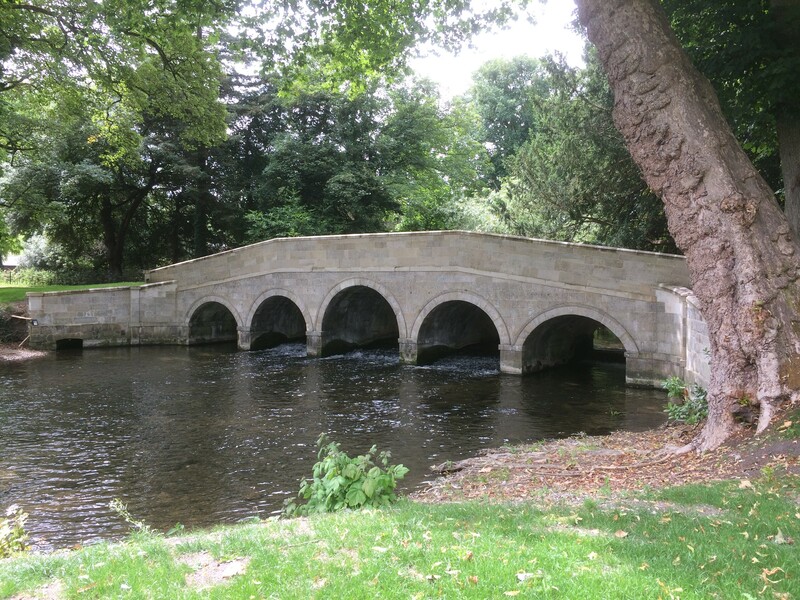 The early C19th Sawmill Bridge is one of a remarkable collection of historic structures within the grounds of Wilton House. It had been sorely treated at some point, with a 6′ high wall built along the carriage way over it, to screen traffic from the house. This left a pedestrian way on the east side, where the parapet had been replaced by a metal fence. Recent work has reversed this process, with the spine wall and metal fence removed, and the east side of the bridge given a stone parapet, matching the surviving one on the west side. Comparing photos of the previous state with what they saw when they visited, the judges had no difficulty in deciding that the project had been firmly in the award-winning class. The work carried out, which had included repairs and repointing to existing stonework, and reinstatement of flanking walls, had clearly been done with a high level of skill, and removal of an unsightly water pipe across the outside of the bridge, which had previously compromised the western elevation, was a major bonus. Touches like new bollard-like guard stones along the inner face of the new eastern parapet, matching ones on the other side, showed a high level of commitment, and the introduction of C19th iron gates from elsewhere on the estate added to the whole picture. The project was felt to reflect great credit on those involved with it.